Dolphins have received a decent volume of media coverage in the past few weeks. They have even managed to brush shoulders (or fins) with celebrities. Kim Kardashian recently posted a slow motion video to her Instagram account of two unconsenting dolphins dragging her around a small enclosure, or, as the Daily Mail reported in a beguiling example of investigative journalism, "Kim Kardashian has a fin-tastic time in black bikini as she swims with and kisses a dolphin." Fin-tastic! Unlike their reality television counterpart, dolphins never asked for the attention, and don't go out of their way to seek publicity. However, in the coming months they are about to be in the media again. Japan Dolphins Day, which takes place (officially) on September 1, isn't just a day for Japanese people to celebrate dolphins. Nor is it simply an opportunity for face painting, engaging in sonar karaoke, and uncovering that dolphin tattoo you got on your left ankle when you were back-packing through Thailand that one time (although all of these things can be a part of it!). Not coincidentally, the calendar event of Japan Dolphins Day also marks the first day of the horrendous annual dolphin drive hunt season in the small coastal town of Taiji ("annual" perhaps being somewhat of a misnomer, as the hunts actually take place nearly every day for six months of the year). Japan Dolphins Day is a chance for the international community of dolphin lovers, advocates for animal welfare, and anyone in the world opposed to violence against defenseless animals to peacefully recognize the commencement of one of the largest acts of animal cruelty in the world. The event is an opportunity to spread awareness of the fact that there are no internationally recognized laws or treaties expressly governing the protection of small cetaceans. In practice, this means that every year, thousands of dolphins and small whales are the victims of terrible cruelty. Japan Dolphins Day is a chance to highlight not only the brutal slaughter methods used by those engaging in the dolphin drive hunts, but what happens to the dolphins that are captured and sold on to entertainment sea parks and aquariums around the world to perform tricks for human entertainment and swim with the likes of Kim Kardashian. One such captive dolphin is Angel, a rare albino dolphin captured in last year's drive hunts who is being kept in atrocious conditions in the Taiji Whale Museum. As Ric O'Barry, the former Flipper-trainer-turned-dolphin-welfare campaigner and founder of Japan Dolphins Day events, states: "The last Taiji hunting season was a brutal one. Across the globe, members of the public reacted to international headlines when hundreds of bottlenose dolphins were herded into the cove in Taiji. One of those dolphins, Angel, became a symbol of the brutality of the hunts and helped to build and galvanize worldwide opposition to the inhumane captures." As Angel's case highlights, the dolphin drive hunts feed into myriad animal welfare and conservation issues, threatening endangered cetacean populations and causing the suffering of thousands of dolphins – not because the drives are necessary, but to provide animals to perform demeaning tricks for commercial entertainment. Despite new research that shows dolphins have a unique language, they are still voiceless in the eyes of the law. Which is why we need to raise our voices this coming Japan Dolphins Day and speak on their behalf. The Taiji dolphin drive hunts is an issue that concerns the world, and accordingly events are being held around the globe from Miami to Santiago, London to Hong Kong, Buenos Aires to Melbourne and, crucially, in the small coastal town of Taiji. To find a Japan Dolphins Day event near you, please visit The Dolphin Project, and if there isn't an event in your area already, you can organize your own at here. 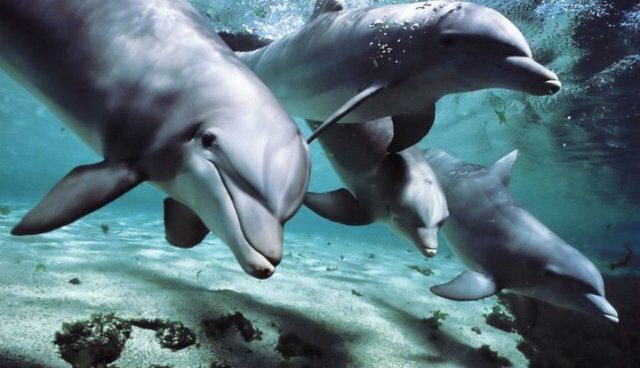 My own organization is Australia for Dolphins, a non-profit working to stop the unthinkable cruelty of dolphin hunting.